David Beswick, 71, of Tunnel, NY, at rest Tues. October 2, 2018. David was born in Schenectady, New York, the son of the late Wilbur and Edna Beswick. He was the beloved husband of Linda (Reynolds) Beswick of Tunnel for 49 years; beloved father of Amy (Brian) Dessureau, and the proud grandfather of Emma Dessureau and Alex Dessureau of Gardner, Massachusetts. He was the brother of James (Kathleen) Beswick of Glenville, New York; the brother-in-law of Barbara (Robert) Cullum of Albany, New York; and is also survived by several nieces and nephews. After high school, David enlisted in the United States Marine Corps. While in the Marine Corps, he completed a tour of duty in Vietnam as a radar and electronic equipment technician. During his career, he worked in electronic testing and diagnostic roles with the former Burroughs Business Machines and Atlantic Design Company Inc. Prior to his retirement, David served as an electrical transmission service training specialist for New York State Electric and Gas (NYSEG). Of all his life career accomplishments, David strongly felt that his time spent in service to his country was the most fulfilling. The family wishes to thank the staff of Floor 2B at the Absolut Center in Endicott for the special care given to David during his stay. At the discretion of the family, a private burial will be held at the New Ohio Cemetery in Tunnel, NY. 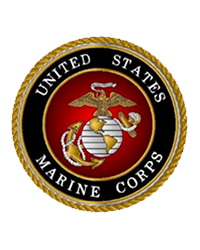 In lieu of flowers, donations can be made to either the Marine Toys for Tots Foundation, Gift Processing Administrator, 18251 Quantico Gateway Drive, Triangle, VA 22172 or to the Broome County Humane Society, 167 Conklin Avenue, Binghamton, NY 13903. On-line Condolences may be made at: www.omaddenfh.com. Funeral arrangements were provided by the Osterhoudt - Madden Funeral Home, 69-71 Maple Street Harpursville, NY. A MADDEN FAMILY FUNERAL HOME.